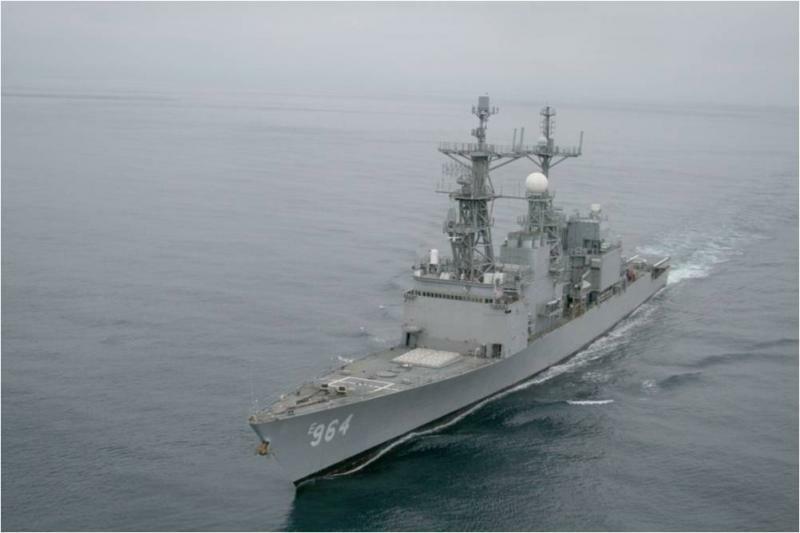 This project was completed in three phases over 2 years and included; laboratory and field testing and a shipboard demonstration. The overall goal of the project was the rehabilitation of an already fouled exchanger and a reduction in foul progression under normal operating conditions. We verified that the non-metallic and metallic materials commonly used within shipboard HX’s were compatible with the chemicals used during the I2 protocols and that the the HX's were able to function almost three times longer without the need for disassembly. Two exact LPAC heat exchangers were compared over a 9 month period on board the STDS test ship. One receiving infusion the other not. During the 9 month study period all system parameters remained the same except for an occasional spike during filter fouling. Note the gold rectangle at the bottom left of the chart. This indicated when the exchanger would have typically been torn down and acid washed. Also note that the exchanger was used 85% of the time and that the gold rectangle indicated no change in system parameters before or after the final acid clean. Water sampling during full infusion indicated no metal elution from the system in regard to metal ions. 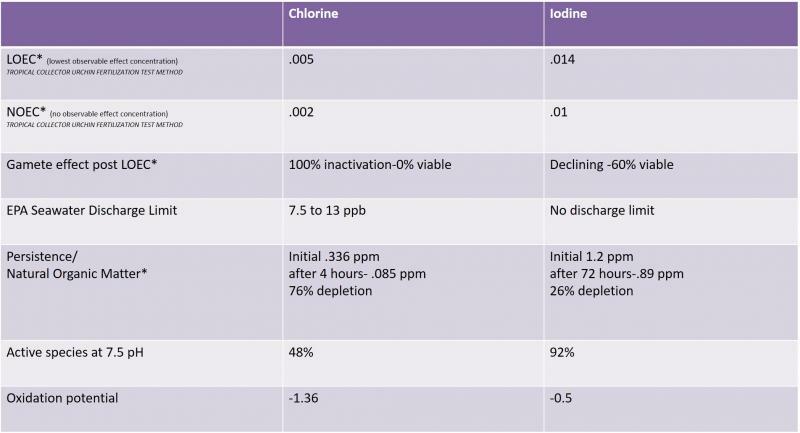 Also note that during full robust infusion there was only a 35 ppb rise in background iodine in the effluent water from the exchanger. The first study comparing iodine to chlorine in seawater was performed in Pearl Harbor, Hawaii. Iodine was found to be 5 times less toxic for sea life.